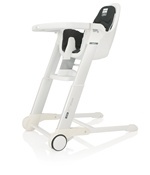 2-position removable seat back insert helps position your growing child at the table. Light, foldable and easy transportable in a travel bag that is included, the Inglesina Fast Table Chair in Marina Navy Blue is the ideal solution to allow babies to sit at the table with mom and dad every time the highchair is not available. Light, foldable and easy transportable in a travel bag that is included, the Inglesina Fast Table Chair in Basilico Green Blue is the ideal solution to allow babies to sit at the table with mom and dad every time the highchair is not available. Light, foldable and easy transportable in a travel bag that is included, the Inglesina Fast Table Chair in Mandarino Orange Blue is the ideal solution to allow babies to sit at the table with mom and dad every time the highchair is not available. Light, foldable and easy transportable in a travel bag that is included, the Inglesina Fast Table Chair in Teak Blue / Beige Blue is the ideal solution to allow babies to sit at the table with mom and dad every time the highchair is not available. 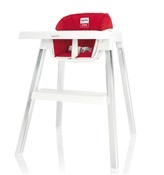 Light, foldable and easy transportable in a travel bag that is included, the Inglesina Fast Table Chair in Ribes Red Blue is the ideal solution to allow babies to sit at the table with mom and dad every time the highchair is not available. 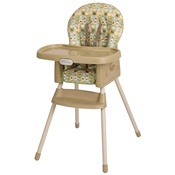 This 2-in-1 highchair converts to a booster when your child is ready and features three adjustable positions to make baby comfortable during feeding. 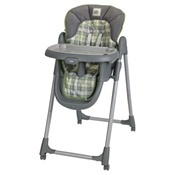 Four-position height adjustment helps ensure your baby a front row seat at any family table. 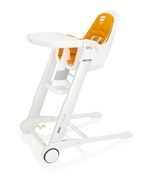 The Inglesina M'Home Club Highchair in Orange for older babies, inspired in its design by minimalism and an elegance towards which the entire M’home collection is oriented. 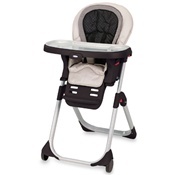 The Inglesina M'Home Club Highchair in Graphite for older babies, inspired in its design by minimalism and an elegance towards which the entire M’home collection is oriented. 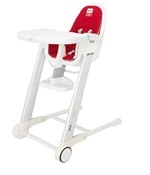 The Inglesina M'Home Club Highchair in Red for older babies, inspired in its design by minimalism and an elegance towards which the entire M’home collection is oriented. 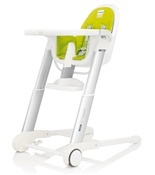 Graco DuoDinner HighChair in Flint, The highchair that grows with your child from infant to toddler and converts to a space saving booster. 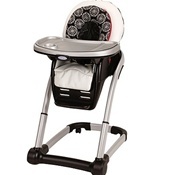 Graco Blossom 4-in-1 Seating System in Edgemont - designed to adjust to your growing child’s seating needs and to accommodate more than one child in your growing family. High design meets high technology. makes any meal space extra special.